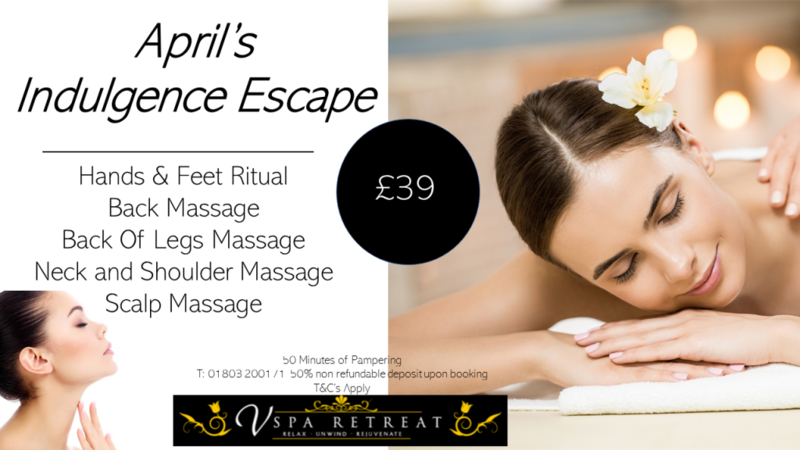 Here at Vspa Retreat we like to reward clients both New and Old. 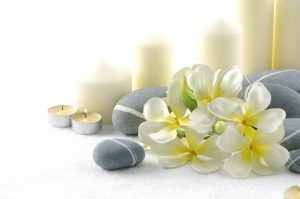 Throughout the year we offer a wide range of bespoke special offers to give a little something back to you. 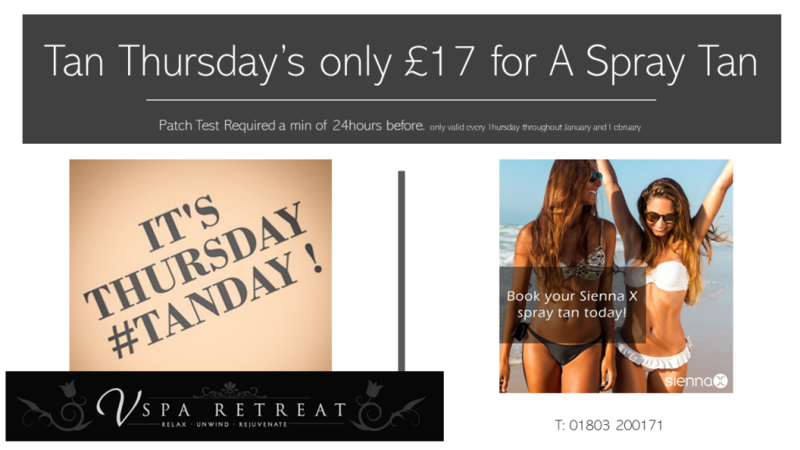 Only £17 for A Spray Tan. Treatment Time: Approximately 75 minutes. Offer Valid Tuesday’s and Friday’s only. 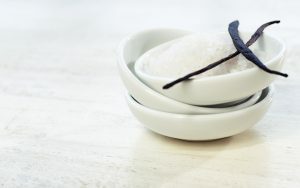 Begin your journey with a hands ritual in our relaxing bath robes while enjoying an indulgent foot soak and scrub. 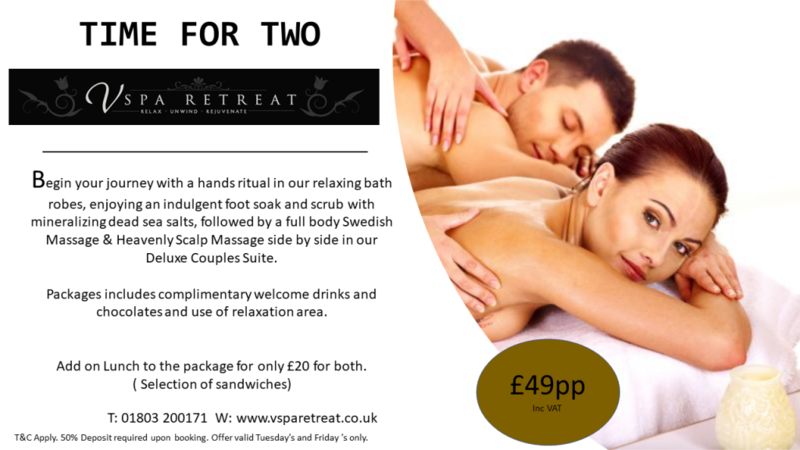 This is followed by a full body Swedish Massage & Heavenly Scalp massage side by side in our Deluxe couples suite. 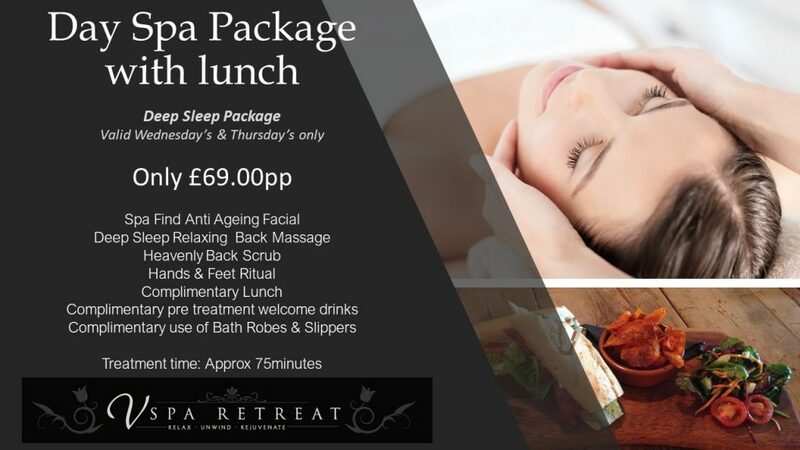 Add on Lunch for only for both for only £20.00.